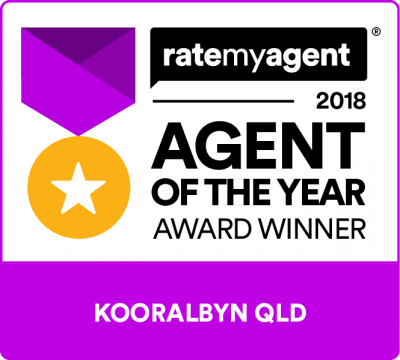 My wife and I found Peter Eggenhuizen to be very professional and knowledgeable when we purchased our block of land in Kooralbyn earlier in the year. Peter came highly recommended by a family member who had purchased a property at Kooralbyn 12 months prior to us. My wife and I have no hesitation in recommending Peter to anyone seeking property in the Kooralbyn Valley region as his local knowledge is invaluable and his polite manner and professionalism make the process of buying property a pleasant experience. I can't thank Peter & Bec at Platinum Edge Properties enough, for all their hard work. They made the buying experience a dream, and no question was left unanswered and request was too hard to resolve. I'm looking forward to enjoying the new place and I know who'll I'll be talking too when it comes time to sell. Peter is the most honest agent we have ever dealt with! He gave us the relevant information not what he thought we needed to hear. He came to our home after hours as we couldn't make it to his office. We will definitely be using his services in the future. The whole process of selling our property was made easy but his professionalism. Peter from Platinum Edge in Kooralbyn sold our home within weeks of listing it. He said he was determined to and he did it. Other agents had tried but to no avail. It was a pleasure to get to know Peter who guided us through the whole selling process because it can be a stressful time. He gave sound advice with little hiccups along the way and assured us everything was ok. And it was. Thanks Peter we are both grateful you came to the rescue. Thanks Pete and Bec, Good job all the way, from the advice you provided to taking the pictures and getting the unit sold. Peter and Rebecca were helpful, friendly and very professional in their salesmanship. My queries and requests were answered quickly and in full. i would highly recommend Platinum Edge Properties to any prospective purchaser, and also to anyone who wants to sell their property. I can say I was very impressed with the professionalism shown by your company and yourself and how everyone was so helpful and nice. Very pleased with my sale, completely unconditional and sold within three months. Good one Peter, I do wish you all the best for the coming year. Dear Peter, Thank you so much for your and your team's personal and professional attitude during the sale of my home. It has been a great pleasure knowing you over the past 6 years as a friend, neighbour and real estate agent. Thank you once again for everything. A BIG thank you to you both for the great service and support in selling our house and we would highly recommend Platinum Edge Properties to anyone looking at selling or buying a property.